ANZIC continues as an entity under ARC/LIEF funding until 2020 and hopefully beyond. ANZIC funds for up to $40,000 for post-cruise analytical work. In addition there are annual calls for analytical studies of legacy ocean drilling material, leading to publication, for sums of $10,000-20,000 available. 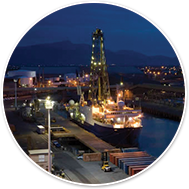 Applications will only be considered if submitted within three months of material being available through the IODP system (aboard ship or at post-cruise sampling party). Short progress reports (1 page) are required 6 months and one year after funding commences. A final report (3 pages) that summarises research findings, and includes a publication list (published, in press, submitted or planned), is required within 2 years after funding commences. 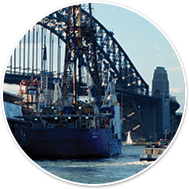 Pro-formas for these reports are available from iodp.administrator@anu.edu.au. New Zealand-based researchers should contact NZODP@gns.cri.nz for information about applying for such funding.